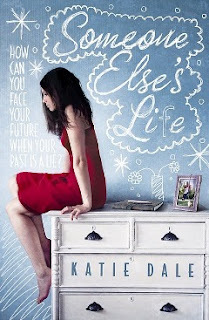 Someone Else’s Life by Katie Dale was a really dramatic story. This was a really fast-paced story with a lot going on. It captured my attention from the very first page. When Rose’s mother dies after suffering from Huntington’s disease, Rose is obviously devastated by her mother’s death. Added to this, as Huntington’s disease is genetically inherited, Rose has a 50/50 chance of developing the disease herself. But then she finds out that her mother wasn’t really her mother... To make matters worse, she was switched at birth. Someone Else’s Life was full of twists and turns. There was something happening on every page. I loved how rapid the action was and the revelations. Rose was a good character to start with. I did feel sorry for her because of all that she had to go through. When she finds out the truth, I could understand her anger, frustration and confusion. Also, I understood her desire to find her real mother. However, when we meet the people whose lives she will affect, my feelings towards her changed. She could have acted smarter than she did, thought things through and made better decisions. Of course at such a tumultuous time in your life, it’s easy to make wrong decisions but I thought Rose turned out to be naive. I saw plot twists coming. I didn’t like the way she treated her boyfriend Andy and also the way they kept fighting, making up and then fighting again. It got wearisome and repetitive. I felt sorry for the other main character, Holly. I agreed with her point of view. She felt like Rose was taking everything away from her and I could understand her. I related more to Holly than to Rose. Many dramatic events happen throughout the book. It really is a rollercoaster ride. Dale’s writing was easy to read. The story is poured onto the page. Overall, I liked the characters and could understand their motivations. What dampened my regard for the book was a few unneeded twists at the end which lessened the impact that the story had on me. Other than that, Someone Else’s Life is a good story. Thank you very much for your great review, Kulsuma! Ah, I hate it when I can tell whats going to happen later in a book, it really spoils things. I hadn't heard of this before, and it does sound good despite the couple of issues you had with it. Great review, Kulsuma!